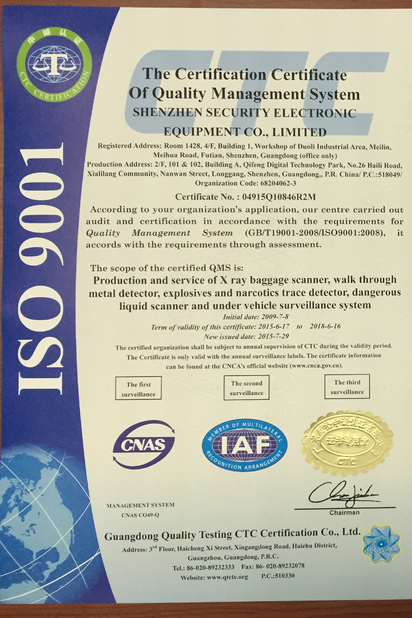 Shenzhen Security Electronic Equipment is a national high-tech enterprise committed to security equipment research & development, production and sales, also a provider of personalized security system. 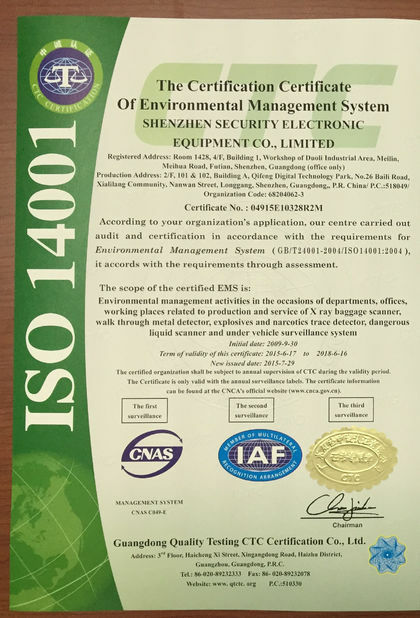 We regards product quality as enterprise life, strictly controls the every manufacturing part according to ISO 9000 standard and actively approaches to international first class products. We have exported to: England, France, Germany, Italy, Spain, Portugal, Romania, Lithuania, Honduras, Russia, Turkey, Kazakhstan, Uzbekistan, Singapore, Philippine, Malaysia, Hong Kong, Indonesia, India, Pakistan, Nepal, Bangladesh, Kuwait, Syria, Burma, Thailand, Mongolia, Cambodia, South Africa, Nigeria, Kenya, Ethiopia, Tunisia, Uganda, Rwanda, UAE, Saudi Arabia, Malawi, Gabon, Morocco, Namibia, Ghana, Mali, Egypt, Argentina, Mexico and etc, more than 60 countries. Hundreds of Express Warehouses used SECUSCAN X Ray Scanner to check mail parcels. 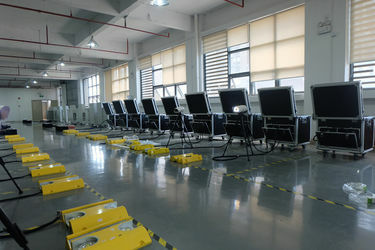 Choosing SECUIRITY ELECTRONIC EQUIPMENT CO., LIMITED, you will enjoy our value-added and one-step services. 24 hours phone call reply! Welcome inquires from all over the world! We will offer you our best Quatation and provide our best services according to your requirement. Our technical team is much experienced in X Ray Baggage Scanner, Walk Through Metal Detector, Explosives Detect/Disposal Devices, Under Vehicle Surveillance System etc. We are able to provide support on machine customize, machine maintenance, engineering design, construction scheme, design optimization, product Research & Development. Once you order our security devices, you will carry our quality warranty and have our technology support all the life. Qur service engineer will help you with the Installation, debugging and training. There are not problems you can't solve by your engineer for the machine. If you encounter the small problems, you can check the manual. Or you can call us, we will offer you the solution in 2 hours. If you still don't understand how to solve it, don't worry about it. we will take a video and send it to you. Also, you can send your engineer to our factory to train how to operate the machine in the right way. We have 260 employees, set up 5 R&D teams, including 11 Doctors and 46 masters. 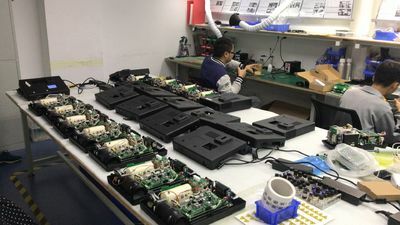 Self-developed many series of products like: X Ray Scanning Systems, Metal Detector, Explosive and Narcotics Detector , Dangerous Liquid Scanner, Vehicle Inspection Devices. We have total 35 models of security products have been rewarded high recognition and praises from customers at home and abroad after entering the market. 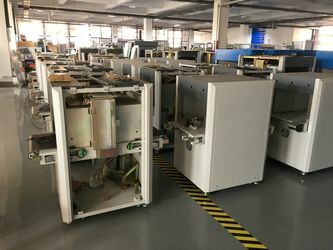 Relying on our efficient management and fast fexible production pattern, we are able to control annual production capacity of 4,000 sets X Ray Baggage Scanner, 20,000sets Walk Through Metal Detector, 40,000units Hand Held Metal Detector, 1,500unit Explosives drug detector, 3,000unit Dangerous Liquid Scanner, 3,500unit Explosives Disposal Devices, 1000sets Under Vehicle Surveillance System etc. In case of urgent demand, our emergency production unit will guarantee your business free of trouble.